A small fraction of the world's population ever competes at the Olympic Games; an even smaller fraction ever competes in multiple Games. 515 athletes (127 women, 388 men) have participated in at least five Olympics from Athens 1896 to Rio 2016, but excluding the 1906 Intercalated Games. Just over a hundred of these have gone on to make at least a sixth Olympic appearance. Several athletes would have made more appearances at the Olympics but for reasons out of their control, such as World Wars (no Olympics were held in 1916, 1940 or 1944), politically motivated boycotts, financial difficulties, or ill-timed injuries. 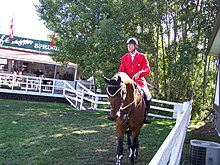 Canadian equestrian athlete Ian Millar has competed at ten Olympic games. Austrian sailor Hubert Raudaschl and Latvian shooter Afanasijs Kuzmins (representing Soviet Union until 1988) have each made nine Olympic appearances. Well over half of six-time Olympians belong to the shooting, equestrian, sailing and fencing disciplines, which are known for allowing athletes more longevity at the elite level. Athletics and cross-country skiing also provide a large number of athletes who have competed at five Olympics. This table shows the number of athletes who have appeared at exactly (or at least) n Olympic Games between 1896 and 2016, as n varies from 5 to 10. For example, 13 men have appeared at exactly seven Olympics while 21 men have appeared in at least seven Olympics. Appearances at the 1906 Intercalated Games are not included. Winter and Summer Olympics are counted as 'different' Olympics even if they occurred in the same year. While these numbers are believed to be correct, it is possible that one or two athletes have been missed, particularly with five-time Olympians. Approximately a quarter of long-competing athletes are female. Italian canoeist Josefa Idem became the first woman to take part in eight Olympics, eventually reaching the final of the K1-500m event at the age of 48. Before her, the closest a female athlete had come to competing at eight Olympics was 0.028 seconds, which was the time by which Jamaican-Slovenian sprinter Merlene Ottey had failed to meet the qualification time required for appearance at the 2008 Summer Olympics, at age 48. Four six-time Olympians here have participated in Olympic Games over a period of 40 years: Bahaman sailor Durward Knowles (8 Olympics), Danish sailor Paul Elvstrøm (8), Danish fencer Ivan Osiier (7), and Norwegian sailor Magnus Konow (6). Note should also be made of Japanese equestrian Hiroshi Hoketsu, whose first and third Olympic appearances in 1964 and 2012 were 48 years apart. Seven-time Olympian Oksana Chusovitina competed in artistic gymnastics at every Olympics from 1992-2016. She continues to compete in her early 40s in a sport where few competitors continue past their mid-20s or compete at two or three Olympics. Two five-time Olympians competed under four different flags at the Olympics, one of whom never actually changed nationality. Both shooter Jasna Šekarić (6 Olympics) and table tennis player Ilija Lupulesku (5) competed for Yugoslavia at the 1988 Olympics. In 1992, since Yugoslavia was under UN sanctions, they (and fifty other Serbians, Montenegrins and Macedonians) competed as Independent Olympic Participants before competing at the next Olympics under the flag of Serbia and Montenegro. Lupulesku became an American citizen and competed for the USA in 2004, while Šekarić finally competed for Serbia in 2008. Thirteen five-time Olympians have won at least eight medals: American swimmer Michael Phelps (28), Norwegian biathlete Ole Einar Bjørndalen (13), Italian fencer Edoardo Mangiarotti (13), German kayaker Birgit Fischer (12), American swimmer Dara Torres (12), Hungarian fencer Aladár Gerevich (10), Finnish gymnast Heikki Savolainen (9), Jamaican-Slovenian sprinter Merlene Ottey (9), German speed skater Claudia Pechstein (9), Romanian rower Elisabeta Oleniuc (8), German equestrian Reiner Klimke (8), Italian fencer Giovanna Trillini (8), Dutch equestrian Anky van Grunsven (8), and Russian diver Dmitri Sautin (8). About thirty athletes who have competed in at least five Olympics participated in two sports, with nearly half of them competing at both the Winter and Summer Olympics. The most common cross-over sports are biathlon/cross-country skiing (six athletes competed in both), athletics/bobsleigh (five competitors), and cycling/speed skating (five competitors). Married couples among five-time Olympians include biathletes Ole Einar Bjørndalen (Norway) and Nathalie Santer-Bjørndalen (Italy/Belgium), Lithuanian pairs figure skaters Margarita Drobiazko and Povilas Vanagas, Finnish cross-country skiers Harri Kirvesniemi and Marja-Liisa Kirvesniemi-Hämäläinen, lugers Susi Erdmann (Germany) and Gerhard Plankensteiner (Italy). Athletes in bold are believed to be still active i.e. have yet to announce their retirement. Female athletes are displayed with a pink background. Sorting is by number of appearances, date of last appearance, date of birth. 521 athletes have competed in at least five Olympic Games (526 if the 1906 Games are counted) between 1896 and 2016 inclusive. They are listed here, grouped by discipline. The columns labelled 'N+' denote the number of athletes who have competed in at least N Olympics. The number of male and female athletes who have competed in at least five Olympics are also listed, in the columns labelled 'M' and 'F'. Athletes who have competed in more than one sport are counted once per sport. The 1906 Intercalated Games are not considered 'official' Olympics, but medals were awarded. The following athletes have appeared in at least six Olympics if 1906 is included. The following athletes have appeared in at least five Olympics if 1906 is included. Five athletes made five Olympic appearances including the 1906 Games. About thirty five-or-more-time Olympians have competed in two or more sports. These athletes are listed below, with the number of times they competed in each sport. Sometimes they competed in two disciplines at the same Games; such instances are noted. The most common combinations of disciplines are biathlon/cross-country skiing (six athletes competed in both; each sport is a winter sport), athletics/bobsleigh (seven competitors; summer and winter sports respectively), and cycling/speed skating (five athletes; summer and winter sports respectively). ^ a b c d e f Appeared at Summer Games and Winter Games. ^ Gold in luge and bronze in bobsleigh.